The Black Bay Dark features a PVD treated steel case with a satin finish. Unidirectional rotatable bezel in black PVD-treated steel, disc in matt black anodised aluminium. 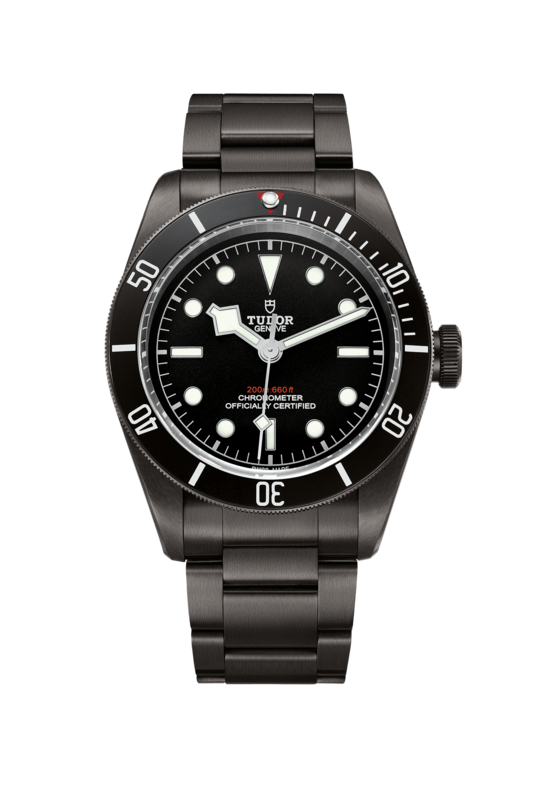 This diver’s watch in matt black steel inherits its general lines, domed dial and crystal from the first TUDOR diving watches.